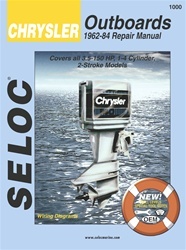 Service and repair your Chrysler outboard motor with one of these manuals. 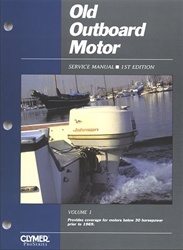 Our Chrysler manuals will guide you step by step from the easiest to the most difficult tasks on your marine engine. Each book contains hundreds of photos with instructions on exactly how to maintain your motor. 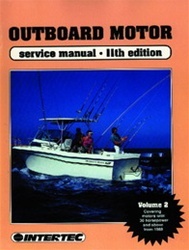 Maintenance and troubleshooting are covered in each manual as well as wiring diagrams. Chapters typically cover sections such as: Cooling System, Engine Specifications, Drive Shaft, Fuel System, Ignition, Electrical Systems, Gear Case, Storage/Winterize, Timing, Trim, Tilt, Torque Specifications and Tune-Up.